Belfast Healthy Cities is committed to improving the health and wellbeing of people living and working in Belfast through our intersectoral approach. Our aim is to work with decision makers to develop innovative approaches to create a healthy city. 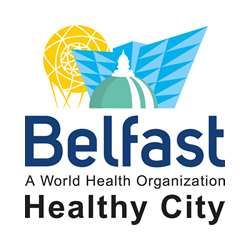 Belfast is a leading member of the World Health Organization (WHO) European Healthy Cities Network, which currently has more than 90 member cities across Europe. Our programmes are determined by the overarching themes and requirements for a WHO Healthy City, but are developed within a local context. Belfast Healthy Cities shapes, influences and develops healthy public policy. We promote equity and health improvement through intersectoral collaboration. We work closely with decision makers in government departments and the public sector as well as the voluntary and community sectors. The committed and focused work of Belfast Healthy Cities in testing new approaches has provided legitimacy for new policy development and initiatives at community, city and government level.